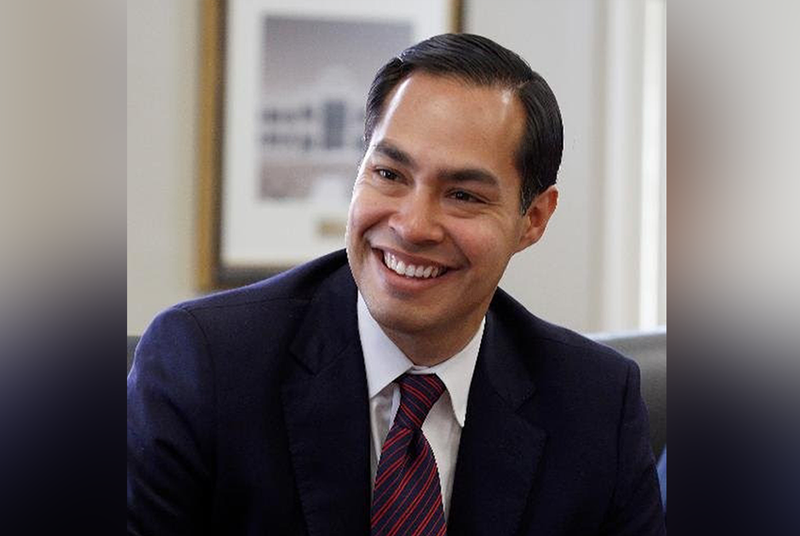 WASHINGTON — Former U.S. Secretary of Housing and Urban Development Julián Castro will launch a political action committee on Tuesday that aims to support Democratic Party efforts to take control of the U.S. House and groom younger candidates. Castro's PAC, Opportunity First, will have three aims: gaining Democratic control of the House, making headway in state legislatures ahead of the 2021 round of redistricting and electing younger leaders to local office. Castro told The Texas Tribune in a Monday interview that his focus will be on "young and progressive" talent, and his aim is to play in county commissioner, mayoral and other local races to cultivate the Democratic bench. "We're going to go out there and find great young talent," he said. The move marks an expansion into national politics for the former San Antonio mayor. Contenders eyeing presidential runs frequently engage in such activity during midterm campaigns. Supporting candidates around the country is a key way any future presidential candidate builds relationships ahead of a national nomination fight. "The thrust of Opportunity First will be to support people who are running in the 2018 cycle. I'm happy to do it," he said, when asked if this is laying the groundwork for a presidential run. Opportunity First paperwork was filed earlier in 2017. Tuesday marks the public launch of this operation and a shift toward more robust fundraising. The PAC has already supported attorney Colin Allred, who worked for Castro at the HUD Department, in his bid for the Democratic nomination to take on U.S. Rep. Pete Sessions in the Dallas-based 32nd Congressional District. It also backed two candidates who won their campaigns for seats in the Virginia General Assembly.